Now into its third year, London Cocktail Week is a celebration of London's unrivalled cocktail culture. With a whole host of events running across the city over the course of the week, the centre of this showcase event is at Seven Dials in Covent Garden; this London Cocktail Week pop-up shop is the place to get your wristband (£4 in advance, £10 after), then afterwards proceed to venture across London on the Cocktail Tours (on their vintage routemaster buses), taking advantage of the long list of partner bars offering £4 cocktails for the week. If bus tours aren't your thing however, you can buy a wristband and book for the parties and events that you want to attend during the week. As well as getting the public to enjoy London's fantastic range of cocktail bars and parties the event also focuses on master classes and seminars, in a bid to teach novices and professionals alike more weird and wonderful tricks about how to make the perfect cocktails. London Cocktail Week 2012: a week full of cocktails in London! Some of the festival's flagship events are focused in a very concentrated area, the historic and beautiful Seven Dials area of Covent Garden. However the range of London Cocktail Week events will extend far beyond this small corner of London with bars in Shoreditch, Fitzrovia, Soho, Notting Hill, Camden and Canary Wharf all taking part in this homage to the glamorous cocktail. With some big drinks companies such as Cointreau, Absolut Vodka, Bacardi and Grand Marnier putting their names to the event, this is bound to be the biggest and best London Cocktail Week yet and we urge you not to miss out. Secure your wristbands for London Cocktail Week before the event starts for only £4 by going to their website. Click here. South Ken favourite Boujis will be throwing a rave to rival Rome at the iconic Battersea power station on Friday 18th November from10pm to 3am. One thousand lucky people will be able to party in the Grade II* Listed structure made famous by the likes of The Beatles and Pink Floyd until the early morning with all drinks and entertainment included in the ticket price. Drinks sponsors include premium brands Asahi, Grey Goose, Johnnie Walker and Moët and Chandon Champagnes – Boujis’s legendary line-up has not yet been released but judging from their other events we’re sure it will be unforgettable. Pre-sale tickets will run you £150 per person and tables are either £2000, £3000 or £5000 with a maximum of ten guests per table. Doors close at 11.30pm so you've got to get there quick! Tickets are sure to sell out soon so please contact us for bookings. If London’s night scene was a great work of art (which it is) Boujis would be the masterstroke. Renowned the world over for attracting enough royals to form a rogue monarchy, Boujis has become an established favourite in South Ken that contends with the heavy-hitters in Miami, the French Riviera and Ibiza (incidentally, they have a tendency to pop-up there in August). Tuesdays at Boujis are one of the hottest-midweek parties around and attracts celebs like celebs attract cameras. They also have a habit of bringing in some of the most sought-after DJs on the scene – and it’s not uncommon for names like Pete Tong, Basement Jaxx, Will.I.Am and Razorlight stopping in to spin. Boujis’s boutique size guarantees you’ll be rubbing some glitzy shoulders as you throw shapes. Make sure you investigate one of London’s superlative night-time destinations. BEST MICHEAL JACKSON THRILLER COVER EVER. I can see him selling out dates at the o2 arena for sure! it appears that Michael Jackson has been reincarnated into the body of this subway rider! 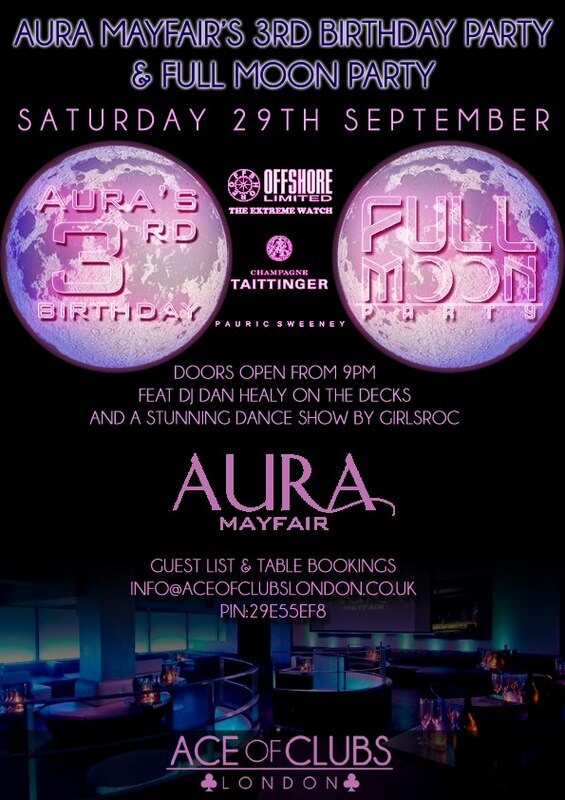 Aura Mayfair FULL MOON PARTY! 29th September! The infamous Full Moon Party, an exciting party incorporating glow sticks, fire shows, lazers etc… This event is always a sellout! Book tables or guestlist ASAP!! Saturday’s at AURA MAYFAIR is established as one of London’s biggest parties! Full capacity night on a weekly basis! Nestled discreetly on the prestigious St. James's Street in Mayfair, Aura is a haven of rich heritage and grandeur. Having The Ritz Hotel & The Wolseley as neighbours gives you an idea of who this club caters for. Aura is an exclusive members club, restaurant and cocktail bar in the heart of Mayfair. It attracts an array of celebrity visitors and recently MADONNA came to join the party. Pre dinner available from 9pm! Clubnight - Doors open at 10pm. This night asks that ladies pay £10 before 11pm rising to £20 after. Gents will be £20 all night. 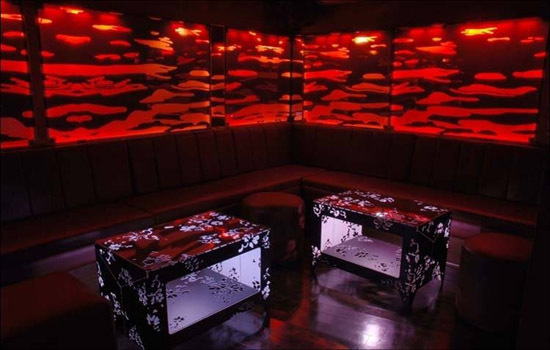 VIP Tables: From £500 - £1000 min spend for table bookings please contact me. Where? - Aura Mayfair, 48-49 St James St, Mayfair, London, SW1A 1JT. LONDON FASHION WEEK DAY 5 HIGHLIGHTS!